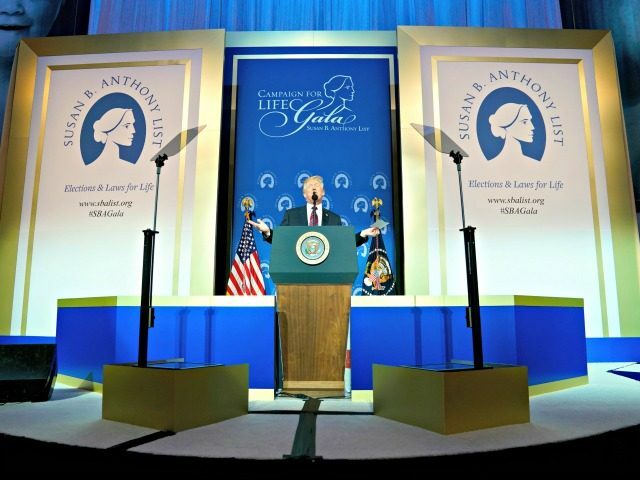 President Donald J. Trump spoke at the annual Susan B. Anthony List gala on Tuesday evening, celebrating the victories of his administration for the pro-life movement. Trump received a standing ovation from attendees of the dinner after he announced a proposed rule from his administration to prevent Title X funding from going to any clinics that provide abortions – such as Planned Parenthood. “For decades American taxpayers have been wrongly forced to subsidize the abortion industry through Title X funding – so today we have kept another promise,” Trump said. The president celebrated the growing pro-life movement, pointing to the strength of its representation in Washington, DC. “For the first time since Roe v. Wade, America has a pro-life president, a pro-life vice president, a pro-life House of Representatives, and 25 pro-life Republican state capitals,” he said. Trump urged all activists and voters to work hard in the mid-term elections, citing the states that supported him for president that were being represented by Democrats. 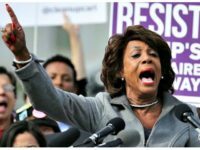 “Democrats like to campaign as moderates, but when they get to Washington they vote for the radical Pelosi agenda down the line,” he said. She promised that pro-life activists would work tirelessly to elect pro-life officials to office. “We must not have a Senate that is Republican, but is not pro-life,” she said.